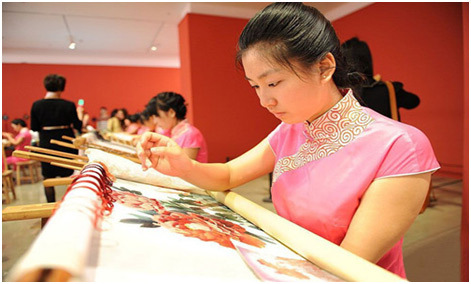 Suzhou embroidery is one of China’s outstanding national traditional crafts. It is the general name for embroidered products in Suzhou area. Its birthplace is in Wuxian, Suzhou, and has now spread to Wuxi and Changzhou. 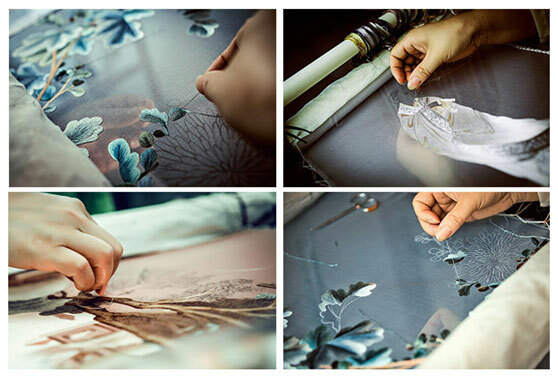 Embroidery and sericulture, silk cannot be separated, so embroidery, also known as silk embroidery. 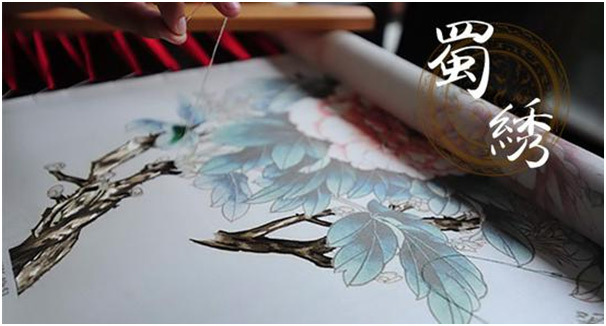 The Qing Dynasty was the heyday of Suzhou embroidery. It was indeed a genre and a famous show. 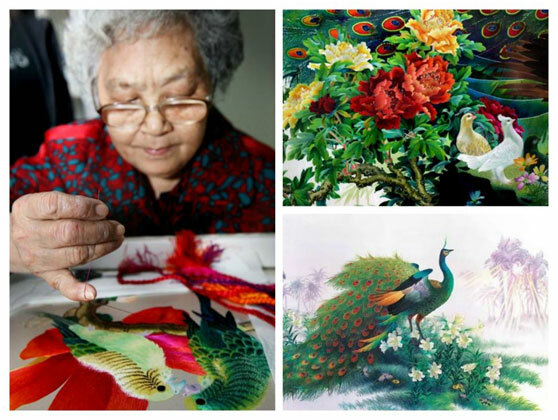 Suzhou embroidery has a unique style with beautiful designs, clever ideas, meticulous craftsmanship, lively stitches, and elegant colors. an 2,000 years ago, there were precious embroideries such as the “Longevity of Longevity” and the “Yao Diyun Embroidery”. One of them is less than one or two. It can be described as an embroidered treasure. The high technology is evident. The needles used for these embroidery products, such as bead needles and string needles, are basically the same as the current Xiang embroidery needles. Therefore, Xiangxiu has a long history. Shu Xiu, also called Chuan Xiu, Sichuan embroidery comes from areas around Chengdu, Sichuan Province. Shu Xiu is the oldest embroidery style in the history of Chinese embroidery.The raw materials for embroidery are silk and colored silk. Its craftsmanship is exquisite and exquisite. Embroidery focuses on splicing, exquisite coloring and local flavor. They are often used for quilt covers, pillow cases, clothing, shoes and painted screens. Tips: Today, Shu Xiu is mainly found in quilt covers, pillow cases and cheongsams. An exquisite Shuxi suture exquisite cheongsam can be used as a good souvenir. Yue Xiu is crafted in areas around Chaozhou and Guangzhou Province. Yue Xiu is highly regarded for its full composition of intricate but symmetrical patterns, vibrant colours, varied stitches and a defined weave. Since Yuexiu craftsmen are all males, compared with the other three kinds of embroidery styles, the early Yuexiu crafts were not so delicate. Tips: Beijing Palace Museum has the largest collection of Yuexiu. In the 19th century, the first embroidery sewing machine was born, The Person who introduced the embroidery machine is called Alphonse Kursheedt. He imported twelve new embroidery hand looms to create a mechanized process. After later, inspired by the sewing machine, Isaak Groebli created the Embroidered machine, which uses a continuous thread of needles and shuttles. Today, computerized machines use the “digital” mode to create embroidery designs. They can create a large number of embroidered patches for sports teams, companies, uniforms, etc. 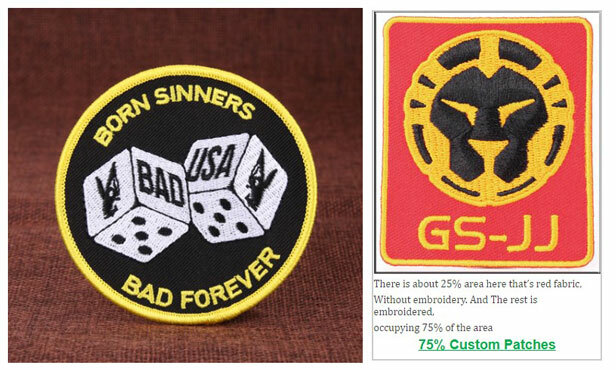 100% embroidered patches, all of the twill backing is covered in thread. 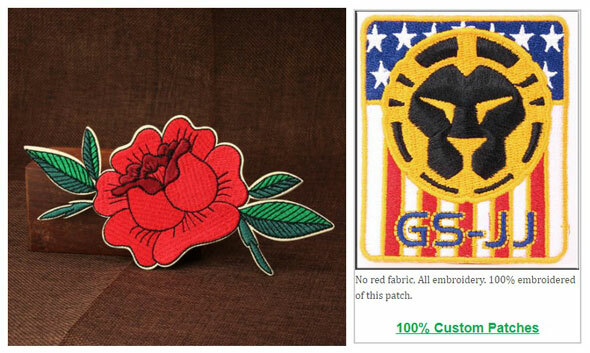 Because of its excellent quality and appearance, The 100% Embroidered Patch is our highest quality patch we offer, As Customers choose thread colors for the entire patch which contains no visible twill. 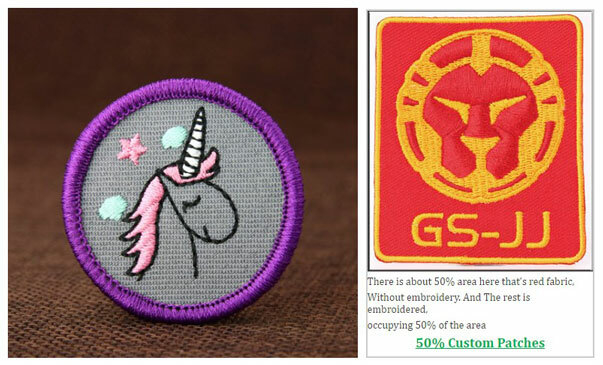 50% embroidered patches means the embroidery covers 50% or less of the surface area of the twill backing. 50% embroidered patches is good for simpler artwork or text-only designs, like Name patches (patches that display name or position of the user. E.g. “Trevor” or “President”), since the large amount open space is great for showcasing your message and keeps the patch simple, classic, clean look. At GS-JJ.com, we are always giving you all the best. 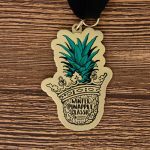 Our Custom Patches System can help you create the perfect Embroidered patches for your needs and have lowest 40% off. To find out more, call us toll-free at 18888644755 or email us info@gs-jj.com. 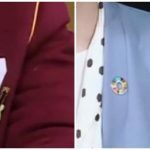 I would like to extend my gratitude to a writer for sharing a comprehensive history about chinese embroidered patches in your write-up. Especially I love Shu Xiu embroidery pattern definitely I will try embroidered similar to this for my bedsheet and pillows.